Pursuit of Felicity: Happy 1st Birthday Nala! 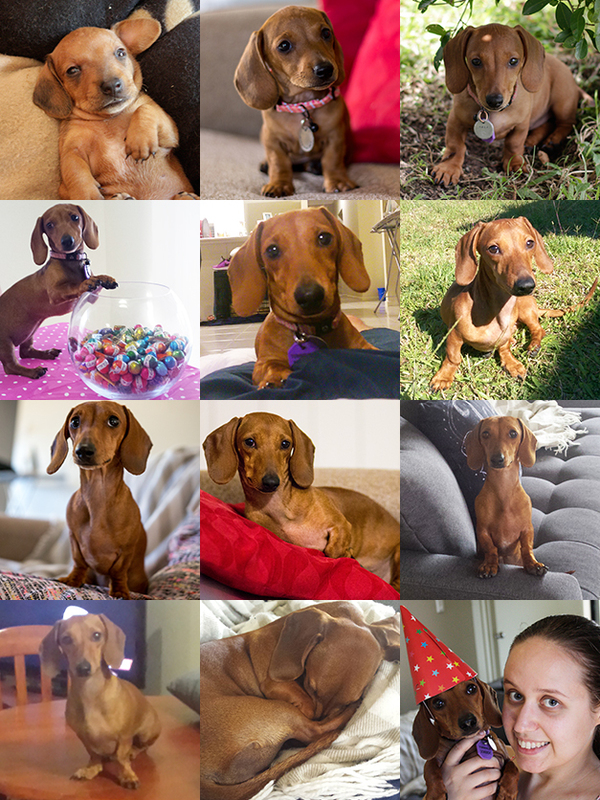 Twelve photos of Nala over the past 12 months! I honestly cannot believe that it has been one year since Nala entered the world. This year has flown by so fast that we've barely had the chance to stop and appreciate just how wonderful our lives are since Nala became a part of them. So this is what this post is for. Nala truly is the most beautiful dog, both inside and out, but even more so on the inside. She has such a calm but happy nature and is always up for a cuddle. She isn't afraid of strangers (but will bark at everything and anyone anyway, especially bigger dogs) and we imagine that she'll be perfect with our children one day. Nala and Ellie also get along wonderfully and were truly a match made in heaven. Nala looks up to Ellie, and Ellie is Nala's protector. They're like two peas in a pod and I really do hope that they live a nice long life together. We love you so much Nala Bear and we hope you have a wonderful first birthday!